CARTEC Autotechnik Fuchs was founded by Roland Fuchs in 1990. His eldest son Daniel Fuchs has been a member of executive since January 2018. The new generation is prepared to take over. Today, our company is one of the leading and most innovative developers and providers of Smart Repair systems. Almost 600 partner companies in the German-speaking part of the world work with the TÜV-certified WheelDoctor and the other systems in the WheelMaster family for professional alloy wheel refurbishment. In the field of diamond cut alloy wheels, we are the only company in Germany which - within the scope of the WheelDoctor structure pad technology - offers a safe and reliable process for reproducing the original structure. This is the philosophy according to which we design professional systems with maximum possible technical and economic benefit for our customers in the company’s own development department. All CARTEC products are manufactured exclusively in Germany. We are firmly anchored in the branch for almost 30 years and still carry out repairs ourselves today. Therefore, we are familiar with the requirements and problems of the automotive branch down to the finest detail. Our long years of experience in combination with our great power of innovation and a large portion of good old Swabian craftsmanship are the essential factors of our success. 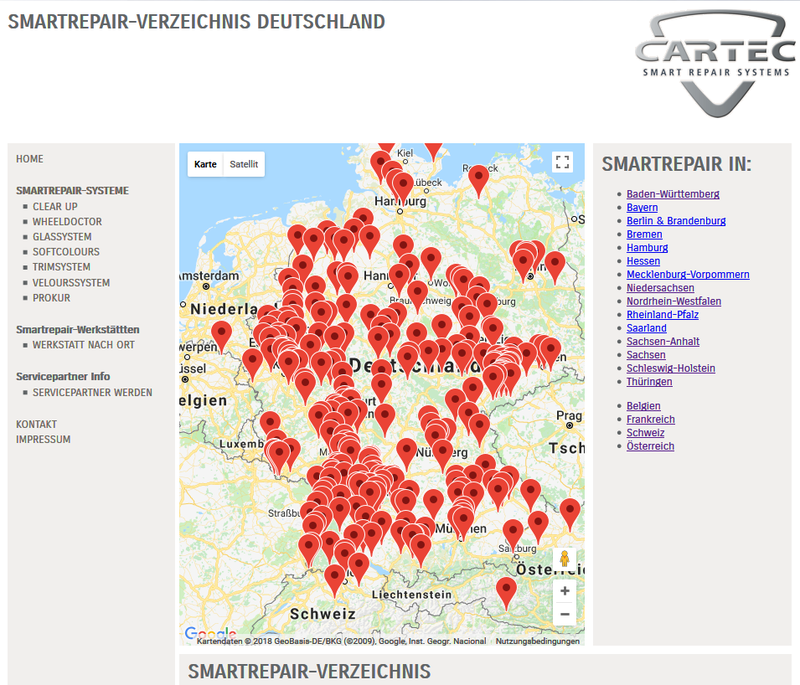 The CARTEC portfolio of services includes product training programmes for the various smart repair systems with experienced application engineers at the company's training centre in Plüderhausen near Stuttgart. We also provide assistance for those starting up businesses and management consultancy, as well as customised marketing concepts to support end customer business.